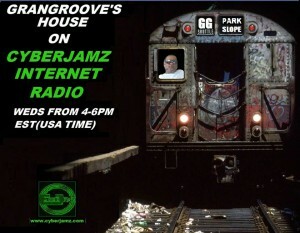 Join us every Weds from 4 – 6pm est to Dj Gran Groove’s House at Cyberjamz Radio. 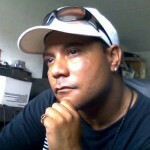 This is one of our latest shows and deejays added to our family. I hope you find the time to lend this special music programmer and ear. Granny been at it for a minute and you will notice once you hear his show from start to finish ! THEN MOVED UP TO PARK SLOPE BROOKLYN WHERE HE GREW UP…BY 12 HIM AND A FEW FRIENDS WERE PLAYING MUSIC BY 13 THEY WERE PLAYING AT HOUSE PARTYS BY 14 WAS DOING HOOKY PARTYS..
AS HE GREW OLDER HE STARTED TO WORK THE CLUBS IN NYC..